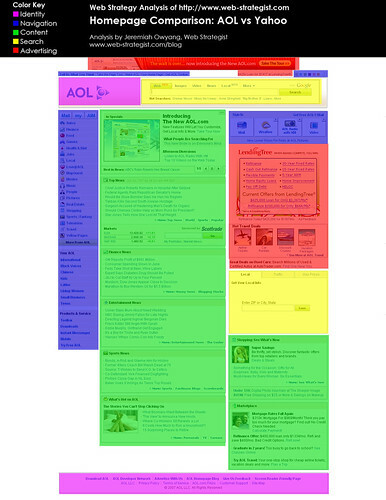 AOL has announced their new homepage design, it looks strangely familiar to Yahoo’s. Here’s the feature list. Let’s compare using the same techniques I did for the top ten blogs(well they are more like magazines and top personal tech blogs. These look pretty simliar, what do the rest of you think? 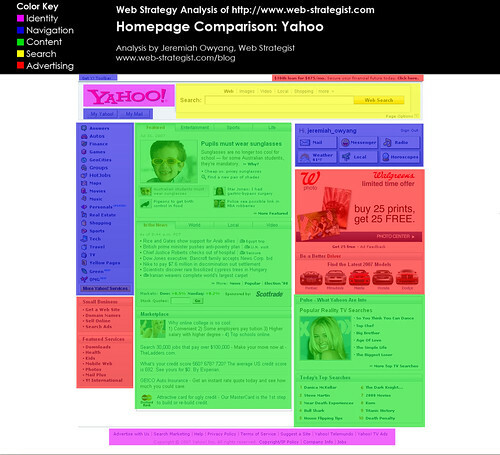 Have you seen my comparison of Google, Yahoo, MSN, and AOL? Take a look.